In the wake of the horrific reports of chemical attacks in Syria and the U.S. bombings that followed, the new Vancouver resident wanted Canada’s immigration minister to help get her father away from danger. “My father’s in Latakia, which is close to Idlib,” said Fadia Jouny, referencing the recent chemical attacks in Idlib by Syrian President Bashar al-Assad. 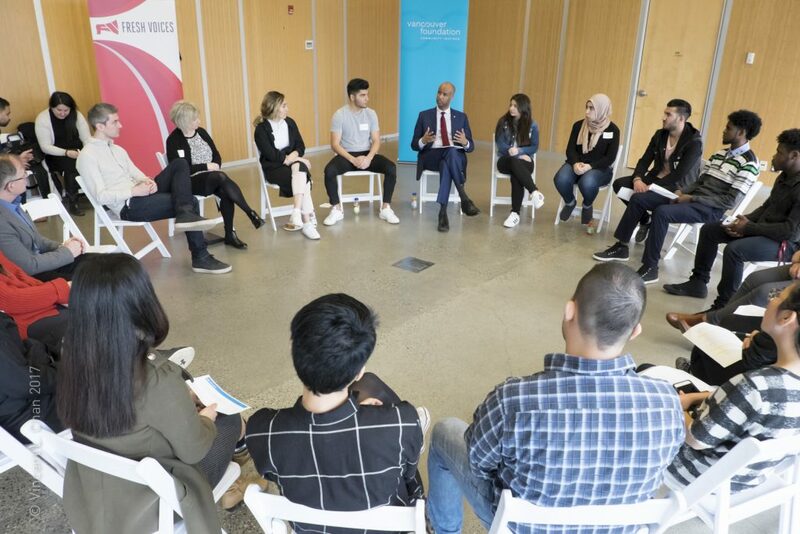 “They said with language services, people are too busy working minimum wage jobs to make a living so they may not have the time to access language programs provided,” Hussen said. Hussen said the fact that they were concerned about the loan repayment showed the “level of maturity” of the group, many of them still teenagers. While this loan repayment system has been in place for decades, critics such as MP Jenny Kwan, New Democratic Party immigration critic, argue that the loans should be forgiven, as refugees sometimes sacrifice basic needs like buying groceries, or postponing university education for their children in order to repay their travel loans. “[Minister Hussen] did talk about the loans and services, but he didn’t really talk about reunification, which is also a really, really important thing for myself, and some other youth who are living without one of their parents,” she said. Vancouver Foundation president and CEO Kevin McCort, who was also at the meeting, said that so far, Canada’s response to the global refugee crisis has been positive, with many refugee youth being accepted into their new home country. “Canadians have a willingness to support refugees and try to make it a community initiative. So many of us have immigrant backgrounds so we understand intuitively that this is necessary and good,” he said. He said Canada has always been a strong supporter of organizations such as the United Nations High Commissioner for Refugees, but that its international aid as a percentage of the economy remains one of the lowest of the world’s developed countries, at 0.3 per cent of the economy. This article by Jenny Uechi was originally posted to National Observer on 10 Apr 2017.